A version of the early v-tech learning toys. As I read this article I began to think of where I fell on the spectrum between "digital native" and "digital immigrant." It seems as though I fall somewhere in the middle. Perhaps I am a first generation. In keeping with the analogy that Marc Prensky uses, I think my position would be comparable to a child who was born in the "old country" but migrated as a young child. I'm old enough that I recorded songs from the radio on cassette tapes and remember when the internet was a rarity in households. I am also old enough to recall the moment that I called my friend with wonder and amazement because I had just seen a commercial for a new phone that could actually snap a picture. Similarly, I had the same experience when my high school drama teacher had an ipod and I concluded two things: either she had a secret fortune or a connection to the CIA (or UFOs) in order to have the ability to put dozens of CDs on a cracker-sized contraption. I went through high school without the invent youtube and could not fathom video sharing. However, I'm young enough to have grown up on Nintendo video games, AOL Instant Messenger and early hand-held devices such as cell phones and compact disc players. Youtube was invented my freshman year of college. With that, I conclude that my generation were sort of at the brink of the digital age. So while immigrants in a sense, it is still easy for us to navigate between two worlds. We are the children who speak the majority language with our friends then go home and translate for our parents, showing them how to add an attachment to an e-mail. Even so, I do see a widening gap between my familiarity with some of the newest technological innovations and frankly, this changing landscape is challening me to keep up. Marc Prensky highlights the sentiment of one high school student who says, "Every time I go to school I have to power down." I am sure this echoes the thoughts of teenagers in what can sometimes be an archaic education system. As a high school teacher it is vital that I keep this in mind. I will have failed if I do not notice that today's students do have thinking patterns that have evolved. We can't neglect to charge the battery of our learners, we must intervene so they won't feel they have to "power down." I think I'll take some time this weekend to call Ms. Zemon and thank her. I remember when my kids were little we had a rather primative Vtech learning toy that asked them: "Find the answer to question 1". And would then reply: "Yes you are right", unless they were not. They loved that instant feedback but soon graduated to bigger and better things like Oregon Trail on the desktop. Great post Nicole. I knew you had it in you! 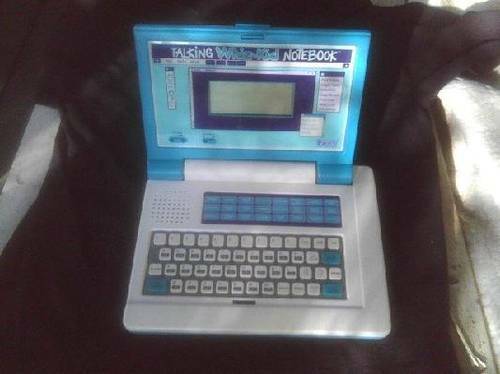 I also remember those toy-like educational technology tools. I had one too. It's funny how those child-like technology tools have turned into Ipads and Iphones. We are all still learning how to use these tools and I have a feeling that the future is going to like this, where we are always going to be learning new things. So in a way, we are all going to be "digital immigrants" for the rest of our lives the way new things are coming out every day. Like you mentioned, I also remember when AOL instant messenger was the cool thing. Now we can pull out our phone and instantly message someone. Don't get me started on Nintendo. It's funny how I still have my old Super Nintendo and hook it up to play it sometimes. I'm sure I'll be doing the same thing with my PS3 in twenty years. Great job Nicole! While I believe technology is an awesome thing, I've also seen how it can be detrimental in the classroom. I've witnessed kids, as young as elementary ages, surf the waves of social media sites and other inappropriate internet locations during school hours. Monitoring that kind of usage has little to no safeguard. Students are so in tuned with their tech toys that they've become more anti-social and educationally inept. Text messaging have stunted their writing abilities to the point where some believe that lol, omg, etc are grammatically correct. I feel we're slowly moving to the point where classrooms are evolving into media labs where the pupils are becoming more technologically knowledgeable than their teachers. While we're making strides in the world of technology, I wonder what kind of web we're knitting together for generations to come. "Students are so in tuned with their tech toys that they've become more anti-social and educationally inept. Text messaging have stunted their writing abilities to the point where some believe that lol, omg, etc are grammatically correct." I think those are very real issues that educators must brainstorm how to combat. While technology is great we do not want robots void of valuing human contact and unable to process full language. Great post and I agree with you and Underscore with the most previous posts. One of the challenges with students having their own technology tools right at hand, such as laptops and cell phones, is that they tend to become distracted or they simply ignore what is going on either in the classroom or with the task at hand. I currently work in the university setting, and I see it all of the time when I go into a faculty member's classroom while they are teaching and sit at the back of the room. Out of a room of 100, about half of them are probably surfing the internet, looking on facebook, etc., almost anything, other than being truly engaged with the lecture. I think this is probably the fault of both parties because digital immigrants can be resistant to using technology in the classroom because they believe "I didn't have it when I was going to school, and I did fine, thus, why do I need to use 'fancy technology' to keep the students' attention." Yet, I think if teachers/faculty members try to learn a new method, they might actually be more excited about the process (the same one they've been using for 20+ years) and they may have more success in communicating the information to their students. However, I also think students need to be cognizant that they also need to learn how to listen to a live body instead of being distracted by all of the gadgets to which they have access and to which they have grown accustomed. Afterall, they are going to have to be able to communicate effectively, in person, without reaching for their cell phones everytime they receive a text message, and they may be in situations where the use of their technology may not be feasible (i.e., wi-fi is down, battery runs out on the laptop, etc. ), thus, they need to be prepared for such situations. Ultimately, there needs to be a meeting of the minds in order for students (at any level) to be engaged so that they can reap the benefits of the learning process, both with and without technology. "However, I also think students need to be cognizant that they also need to learn how to listen to a live body instead of being distracted by all of the gadgets..." I think that is a GREAT point Kari! Interpersonal skills will never (or should never) be replaced by technological advances. In fact, those advances should advance interpersonal communication. I think it is all about balance. The loss of simply knowing how to maintain eye-contact is a tragic one in this generation. However, complete deprivation of their gadgets removes attention completely. If educators found a way to have both types of interactions intertwine, that would be ideal. I, too, have seen that unfortunate scenario play out again and again in the college setting. Thank you for reading Kari!